The South Carolina Supreme Court Monday threw out the homicide by child abuse conviction of Regina McKnight, the first woman in South Carolina to be convicted on that charge for suffering an unintentional stillbirth after having used cocaine during her pregnancy. In its ruling in McKnight v. South Carolina, the court held that McKnight received inadequate counsel during her trial and that her conviction was based on "outdated" and inaccurate information linking the fetal death to her cocaine use. McKnight was arrested in 1999, several months after she experienced a stillbirth at Conway Hospital. She was convicted of homicide by child abuse in 2001 after a jury bought scientifically unsupported arguments that her cocaine use caused the stillbirth. Although McKnight had no prior conviction, and even prosecutors agreed she had no intention of harming the fetus, she was sentenced to 12 years in prison with no chance of parole. McKnight unsuccessfully appealed her conviction in 2002, challenging the constitutionality of using murder statutes to prosecute women who experience stillbirths. But in a split decision, the state Supreme Court upheld her conviction, offering a novel interpretation of the state's homicide laws. The court held that any woman who unintentionally heightens the risk of a stillbirth could be found guilty of homicide with "extreme indifference to human life." Under this doctrine, the court held, any pregnant woman who engages in activity "potentially fatal" to her fetus could be charged with murder. McKnight and her attorneys appealed to the US Supreme Court, but that body declined to review the decision. In Monday's decision, the state Supreme Court focused on whether McKnight got a fair trial. It found that she did not. McKnight's trial counsel, an overworked public defender, was "ineffective in her preparation of McKnight's defense through expert testimony and cross-examination," the court found. The court also found that the information given to the jury about the supposed link between McKnight's cocaine use and her stillbirth was not scientifically supported. "Significantly, the opinion acknowledges that current research simply does not support the assumption that prenatal exposure to cocaine results in harm to the fetus, and the opinion makes clear that it is certainly 'no more harmful to a fetus than nicotine use, poor nutrition, lack of prenatal care, or other conditions commonly associated with the urban poor,'" said Susan Dunn, counsel for amicus. "This decision puts prosecutors across the state on notice that they must actually prove that an illegal drug has risked or caused harm -- not simply rely on prejudice and medical misinformation." "Ms. McKnight is one of more than 500 women in South Carolina who experience stillbirths each year, and in many of those cases, medicine just can't determine the cause," said Brandi Parrish, coordinator of the South Carolina Coalition for Healthy Families. "It is a tragedy that Ms. McKnight has been in prison for nearly eight years for a crime she did not commit. Families in South Carolina are not helped by treating stillbirths as crimes and wasting hundreds of thousands of tax dollars to imprison innocent mothers." At least 90 women have been prosecuted in South Carolina for stillbirths after using drugs, according to National Advocates for Pregnant Women, one of a number of organizations that got involved in the case when McKnight sought redress. "The groups got involved because there is complete consensus that prosecuting pregnant women is bad for mothers and babies," said Lynn Paltrow, head of the group. "Regina McKnight was convicted on junk science and was not fairly represented at trial," she told Myrtle Beach Online Tuesday. McKnight is not out of the woods yet. Her case has been remanded for retrial, but prosecutors have so far given no indication whether they will proceed. In the meantime, she remains in prison awaiting a hearing on bail pending her new trial. [Courtesy of National Advocates for Pregnant Woman & Drug Policy Alliance] For Immediate Release: May 12, 2008 For More Info: Lynn Paltrow 917-921-7421 or Tony Newman 646-335-5384 South Carolina Supreme Court Reverses 20-Year Homicide Conviction of Regina McKnight Decision Recognizes Research Linking Cocaine to Stillbirths Based on "Outdated" and Inaccurate Medical Information COLUMBIA, SC – Today, the South Carolina Supreme Court ruled that Regina McKnight did not have a fair trial when she was convicted in 2001, becoming the first woman in South Carolina to be convicted of homicide by child abuse as a result of suffering an unintentional stillbirth. McKnight was arrested in 1999, several months after she experienced a stillbirth at Conway Hospital. McKnight’s conviction was based on the jury’s acceptance of the scientifically unsupported claim that her cocaine use caused the stillbirth. McKnight had no prior arrest history and even prosecutors agreed that she had no intention of harming the fetus or losing the pregnancy. Nevertheless, upon conviction she was given a twenty-year sentence, suspended to twelve years in prison with no chance for parole. She was projected to be released in 2010. The medical community has strongly opposed McKnight’s prosecution and conviction. From the beginning, leading South Carolina and national medical, public health, and child welfare organizations and experts have opposed the prosecution and conviction. These organizations—represented by National Advocates for Pregnant Women and the Drug Policy Alliance, with South Carolina counsel Susan Dunn included the South Carolina Medical Association, the South Carolina Nurses Association, the South Carolina Association of Alcoholism and Drug Abuse Counselors, and the South Carolina Coalition for Healthy Families—argued in an amicus (friend of the court) brief that women do not lose their rights to a fair trial upon becoming pregnant and challenged the state’s evidence that cocaine use or anything else that McKnight did or did not do caused the stillbirth. In 2002 counsel for Ms. McKnight challenged the constitutionality of using homicide statutes to prosecute women who experience stillbirths. On appeal, a bare majority of the State Supreme Court upheld the conviction and the new interpretation of the state's homicide law. The Court held that a pregnant woman who unintentionally heightens the risk of a stillbirth could be found guilty of “extreme indifference to human life” homicide. Under this decision a conviction for homicide is permitted on any evidence that a pregnant woman engaged in activity “public[ly] know[n]” to be “potentially fatal” to a fetus. The U.S. Supreme Court refused to review the decision. Today’s ruling focused on the question of whether Ms. McKnight received a fair trial and concluded that Ms. McKnight's counsel was "ineffective in her preparation of McKnight's defense through expert testimony and cross-examination." The decision also indicated that the medical and scientific basis for her prosecution and that of other women in the state is based on outdated and inaccurate medical information. “Significantly, the opinion acknowledges that current research simply does not support the assumption that prenatal exposure to cocaine results in harm to the fetus, and the opinion makes clear that it is certainly 'no more harmful to a fetus than nicotine use, poor nutrition, lack of prenatal care, or other conditions commonly associated with the urban poor. '” said Susan K. Dunn, counsel for amicus. “This decision puts prosecutors across the state on notice that they must actually prove that an illegal drug has risked or caused harm—not simply rely on prejudice and medical misinformation.” This ruling addressed a petition filed on behalf of McKnight seeking a judicial review to determine whether the person is imprisoned lawfully or should be released from custody. The petition must show that the court ordered the imprisonment based on a legal or factual error. In McKnight, the factual error was accepting a causal link between McKnight’s cocaine use and her stillbirth. The legal errors were not calling medical expert as witnesses who could refute that link, failing to investigate the medical evidence the state's witnesses relied on and that was based on outdated scientific studies, and failing to challenge the court's confusing and contradictory explanations to the jury of what "intent" Ms. McKnight had to have. “Ms. McKnight is one of more than 500 women in South Carolina who experience stillbirths each year, and in many of those cases, medicine just can’t determine the cause,” said Brandi Parrish, coordinator of the South Carolina Coalition for Healthy Families. “It is a tragedy that Ms. McKnight has been in prison for nearly eight years for a crime she did not commit. Families in South Carolina are not helped by treating stillbirths as crimes and wasting hundreds of thousands of tax dollars to imprison innocent mothers.” The medical and public health groups also raised concerns about the consequences of South Carolina’s policy of arresting pregnant women who experience drug problems. In their brief, they cited the fact that threatening pregnant women with jail time deters them from seeking prenatal care and other vital services, as has been the case in South Carolina since the Whitner ruling in 1997 that originally permitted prosecution of pregnant women under state child endangerment charges. Ms. McKnight is represented on the petition by C. Rauch Wise of the American Civil Liberties Union of South Carolina Foundation, Inc., and Matthew Hersh and Julie Carpenter of the law firm Jenner & Block for the DKT Liberty Project. The Arizona Senate Judiciary Committee Monday approved a bill that would allow the state to detain pregnant women who use methamphetamine and hold them involuntarily in drug treatment programs. The bill also creates the crime of child abuse against a fetus. With a 4-3 "do pass" vote in the committee, the measure now heads for the Senate floor. The bill, SB1500, is sponsored by Sen. Pamela Gorman (R-Anthem). In committee, Gorman said she is not normally a proponent of government interference in the private lives of citizens. "But I do think that the state has some very specific roles," she said. "And one of them is to protect people from harm from other people." a) the expectant mother refuses to comply with an issued order to cooperate. b) the CPS worker reasonably believes that the expectant mother has previously failed or refused to comply with an appropriate prescribed course of treatment or monitoring and believes that emergency custody is necessary to protect the unborn child." Such an unprecedented intervention is necessary given the "highly addictive" nature of meth, Gorman said. Even women highly motivated to stay clean could backslide, she warned. "I would propose that a child can't wait for a year for backsliding off good intentions to be released from being forced-fed methamphetamines by the mother," Gorman said. Meth-using pregnant women had no advocates at the committee hearing. The three committee members who voted against the measure did so not out of concern for the well-being of those women, but out of fear that Gorman's measure could be a stalking horse for cracking down on abortion in the state. The portion of the bill that creates the crime of child abuse against a fetus could be used to halt abortions, they warned. Two women victims of the drug war on our minds this week, one who went all the way to the Supreme Court and won, only to be murdered a few days ago, and one who suffered long years in prison under New York's draconian Rockefeller drug laws and won her freedom, only to be vanquished by a cancer that grew untreated while she was behind bars. Down in Deltona, Florida, Rockefeller drug law prisoner turned reform advocate Veronica Flournoy is in a hospice surrounded by family as she lies dying of cancer. The pains in her chest that prison doctors told her to ignore turned out to be lung cancer, which has now spread to her brain. She is 39. When she was sent to prison doing eight-to-life, Flournoy already had a two-year-old daughter. Her second child was born in prison. When she got out, she collected her children and for an all too brief time was able to enjoy life with her family. 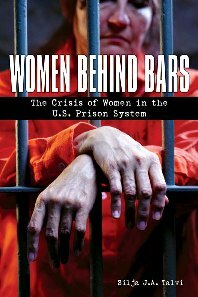 But she didn't forget the women she left behind in prison. She turned up at drug reform rallies. And she continues to fight the good fight. Even as she now lies dying, a public service announcement urging New York Gov. Elliot Spitzer (D) to live up to his promise to reform the Rockefeller laws is airing. Meanwhile, in Columbia, South Carolina, Crystal Ferguson, the poor, black woman jailed for testing positive for cocaine when she gave birth to a daughter at a Charleston hospital in 1991, was killed along with one daughter in an arson fire last month. Another daughter, Virginia, the one born in 1991, was away at camp. Ferguson's lawsuit against the hospital, Ferguson v. City of Charleston, South Carolina, resulted in a finding that the drug testing of pregnant women without their consent amounted to an illegal search. The case also brought the complex issues of race, class, pregnancy, and drug use to national attention. After the Supreme Court victory, Ferguson faded back into the shadow, quietly raising her two daughters in a mobile home in a modest neighborhood. Her surviving daughter, Virginia, told the State newspaper she didn't like to talk about her mother's case, but that her efforts to get out of a life of poverty had inspired her. "All you see is either homeless people or something. Nobody wants to try. She wasn't like that. She wanted to try," Virginia said. "But I guess it didn't work out." In a case that pitted hard-nosed legislators and prosecutors against an array of women's rights, public health, medical, and drug reform groups, the New Mexico Supreme Court ruled May 11 that a state law expanding criminal child abuse laws to include drug use by pregnant women was unconstitutional. In a summary opinion, the state high court upheld a state Court of Appeals decision that reached the same conclusion. The ruling came in the case of Cynthia Martinez, who was charged with felony child abuse in 2003 after her newborn child tested positive for cocaine. Under the law in question, she was charged with "permitting a child under 18 years of age to be placed in a situation that may endanger the child's life or health" by ingesting illicit drugs while pregnant. While the state argued that a pregnant woman who is addicted to drugs should be sent to jail as a felony child abuser, both the appeals court and the state Supreme Court disagreed. During oral arguments, the justices appeared to be particularly concerned about issues raised in an amicus curiae brief submitted by the Drug Policy Alliance and National Advocates for Pregnant Women on behalf of nearly three dozen other leading medical and public health organizations, physicians, and scientific researchers. The justices repeatedly mentioned the DPA/NAPW brief and expressed grave concerns about the deterrent effect such prosecutions would have on women seeking prenatal care. Such rulings are critical to avoid criminalizing poor women, said NAPW staff attorney Tiloma Jayasinghe. "Making child abuse laws applicable to pregnant women and fetuses would, by definition, make every woman who is low-income, uninsured, has health problems, and/or is battered who becomes pregnant a felony child abuser," she explained. "In oral argument, the state's attorney conceded that the law could potentially be applied to pregnant women who smoked." Szczepanski said, "I hope that this case serves as a reminder that pregnant women who are struggling with drug use should be offered prenatal care and drug treatment, not prosecution. There are better ways to protect our children in New Mexico, and ensure that future generations will be safe and healthy." For Immediate Release: May 11, 2007 CONTACT: Reena Szczepanski (DPA): 505-983-3277 or Nancy Goldstein (NAPW): 347-563-1647 Supreme Court of New Mexico Strikes Down State’s Attempt to Convict Woman Struggling with Addiction During Pregnancy Leading Physicians, Scientific Researchers, and Medical, Public Health, and Child Welfare Organizations Applaud Court’s Order On May 11, the Supreme Court of the State of New Mexico turned back the state's attempt to expand the criminal child abuse laws to apply to pregnant women and fetuses. In 2003, Ms. Cynthia Martinez was charged with felony child abuse “for permitting a child under 18 years of age to be placed in a situation that may endanger the child's life or health. . .” In bringing this prosecution, the state argued that a pregnant woman who cannot overcome a drug addiction before she gives birth should be sent to jail as a felony child abuser. Today the Supreme Court summarily affirmed the Court of Appeals decision, which overturned Ms. Martinez’s conviction. New Mexico joins more than 20 other states that have ruled on this issue and that have refused to judicially expand state criminal child abuse and related laws to reach the issues of pregnancy and addiction. The Drug Policy Alliance (“DPA”) and the National Advocates for Pregnant Women (“NAPW”) filed a friend-of-the-court brief http://www.drugpolicy.org/docUploads/NMvMartinezAmicusBrief.pdf on behalf of the New Mexico Public Health Association, the New Mexico Nurses Association, and nearly three dozen other leading medical and public health organizations, physicians, and scientific researchers. During oral argument, the Justices referenced the amicus brief filed by these organizations and expressed grave concerns about the deterrent effect such prosecutions would have on women seeking prenatal care. Tiloma Jayasinghe, NAPW staff attorney, explained, “Making child abuse laws applicable to pregnant women and fetuses would, by definition, make every woman who is low-income, uninsured, has health problems, and/or is battered who becomes pregnant a felony child abuser. In oral argument, the state’s attorney conceded that the law could potentially be applied to pregnant women who smoked.” Reena Szczepanski, Director of Drug Policy Alliance New Mexico, said, “I hope that this case serves as a reminder that pregnant women who are struggling with drug use should be offered prenatal care and drug treatment, not prosecution. There are better ways to protect our children in New Mexico, and ensure that future generations will be safe and healthy.” A complete list of the Amici appears below: New Mexico Section of the American College of Obstetricians and Gynecologists New Mexico Public Health Association New Mexico Nurses Association American College of Physicians, New Mexico National Association of Social Workers National Association of Social Workers, New Mexico National Coalition for Child Protection Reform Child Welfare Organizing Project American Academy of Addiction Psychiatry The Association for Medical Education and Research in Substance Abuse American Public Health Association Citizens for Midwifery Doctors of the World-USA Family Justice The Hygeia Foundation, Inc. National Perinatal Association National Asian Pacific American Women's Forum National Council on Alcoholism and Drug Dependence National Latina Institute for Reproductive Health National Women's Health Network Our Bodies Ourselves Pegasus Legal Services for Children Physicians and Lawyers for National Drug Policy Center for Gender and Justice Yolanda Briscoe, M.D. Bette Fleishman Norton Kalishman, M.D. Eve Espey, M.D. Gavriela DeBoer Dona Upson, M.D., M.A. Elizabeth M. Armstrong, Ph.D. Wendy Chavkin, M.D., M.P.H. Ellen Wright Clayton, M.D., J.D. Nancy Day, M.P.H. Leslie Hartley Gise, M.D. Stephanie S. Covington, Ph.D., L.C.S.W. Ms. Martinez was represented by Jane Wishner of the outhwest Women's Law Center and Joseph Goldberg of the law firm of Freedman Boyd Daniels Hollander Goldberg & Ives, P.A. As legislators at statehouses across the country ponder laws that criminalize or civilly punish drug use by pregnant women, researchers in Arkansas have evaluated the working of a similar law there -- and found it wanting. Meanwhile, bills are pending in at least five states -- Idaho, South Carolina, South Dakota, Virginia, and Wyoming -- that would do the same thing. Proponents of such laws portray them as aimed at "saving the children," but critics argue such laws do little for children and are really aimed at controlling drug use by punishing young, poor, and minority women. In 2005, Arkansas legislators passed a bill popularly known as Garrett's Law, after a baby supposedly born with methamphetamine in his system. [Editor's Note: Be wary of any law named after a victim; they seem to pass easily in a rush of emotion with science and reason brushed aside.] Under Garrett's Law, the mothers of newborn infants who test positive for illegal drugs are presumed to be guilty of parental neglect under the state's civil code, and medical personnel can report them to police and child protective service workers. There were 412 referrals under Garrett's Law in the 12-month period examined. With some 38,405 births recorded during that period, Garrett's Law referrals amounted to a rate of 10.7 per every thousand births. Marijuana was by far the most commonly found drug, mentioned in just over half of all cases, while amphetamines and cocaine were found in about 25% of cases and heroin, barbiturates, or prescription drugs were found in about 7% of cases. In two-thirds of cases, "no health problems" were reported in the infants. On the other extreme, eight infants died, but there is no evidence that the mother's drug use was the cause of death. Marijuana was most likely to be associated with no health problems, while health problems were more likely to be associated with stimulant use by the mother. Instances of death appear to be most commonly associated with barbiturate use. A finding of child neglect was found to be "substantiated" in two-thirds of all cases referred and a Protective Services case was formally opened in 62% of all cases. Slightly less than one-fourth (23%) of children involved with referrals were removed from the family home. The drug most associated with removal of children was cocaine, followed closely by amphetamines. Only 5% of children removed from parents received any medical treatment related to the alleged maltreatment, although the report says it does not have complete numbers. Either 6.6% or 20% of mothers reported received drug treatment. Again, the report complains of sloppy reporting and does not resolve the different figures. Some 64% of mothers reported received some sort of "service," but in most cases that "service" was only drug testing. "This report basically says there is nothing in the data that supports the notion these kids have health problems," said Lynn Paltrow, executive director of National Advocates for Pregnant Women. "This law is not about children's health, but has everything to do with controlling drug use in certain populations. They say people who use drugs are bad parents, but I say show me some evidence-based research that documents the extent to which drug use and parenting ability are truly associated," she said. "You have 72 million people admitting to having used marijuana -- are they all bad parents?" Paltrow continued. While some analysts supported the law because of the broad goals of protecting the health and welfare of infants and their mothers it is supposed to advance, even they had serious concerns about its impact. "While it is critically important that women who are pregnant and giving birth and have an illegal drug in their system need to be looked at closely -- it is an indicator that something is going on -- there are several problems with Garrett's Law," said Paul Kelly, senior policy analyst for Arkansas Advocates for Children and Families, who sits on the Garrett's Law advisory group. "One thing we have found is that there are a lot of women who are not being tested. That means we are relying on the judgment of the attending physician to decide who is and is not being tested." Kelly raises an interesting question about who is being subjected to the law. The report on the law's working does not provide a race and class breakdown of who is being reported, although that information is presumably readily available. The report does provide a breakdown by age, and not surprisingly, most of the women reported under the law were in their twenties. "Another problem with the law is that in many cases, the finding of substance use is the sole cause of the finding of mistreatment," Kelly continued. "They may have other children who are doing well, are well-cared for, doing well in school, yet they may be taken from their mother because of substance use without any consideration of other factors involved." The report's low figures on treatment for women in the report -- either 6.6% or 20%--also raise concerns. "There is a terrible lack of treatment available to these women," said Kelly. "We take their children away from them, yet we are not providing appropriate treatment. Are we here to help or punish? This law has had some consequences that need to be corrected." An effort to do just that is just getting under way early in the legislative season. "We're in the middle of trying to revise Garrett's Law to make it a little less punitive and more family-friendly," said Cynthia Crone, executive director of the Arkansas Center for Addictions Research, Education and Services (Arkansas CARES), which, among other things, runs the state's largest treatment program specifically aimed at mothers suffering from substance abuse. Advocates are in the final stages of drafting reform language and now have a sponsor in the statehouse, Kelly said. "There are several things we are looking at. We don't want the fact that an illegal substance was found in the child's body at birth to be the sole determinant of whether there is child abuse going on," he said. "If the only finding is that these women have drugs in their system, they should not be placed on the child abuse registry, but given the opportunity to seek treatment. We don't want to ruin their ability to care for their children and have gainful employment because of making foolish mistakes." "This report doesn't find a strong association between any kind of prenatal exposure to drug use and health problems in the infant," said Paltrow. "For legislators to focus on maternal drug use as the primary threat to children's health when there are eight million children without health insurance is absurd. If we focus on things like this, it distracts our attention from much larger issues, like the 46 million uninsured, the lack of treatment, no paid maternity leave, those fundamental problems. They say it's about the kids, but the result is not more funding or treatment; instead, we're out arresting mothers."